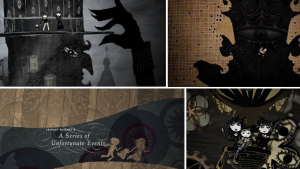 After watching the Lemony Snicket’s title sequence i was intrigued by the hand-crafted elements (collage and paper cut-outs). I was eager to get started and see my creations come to life. 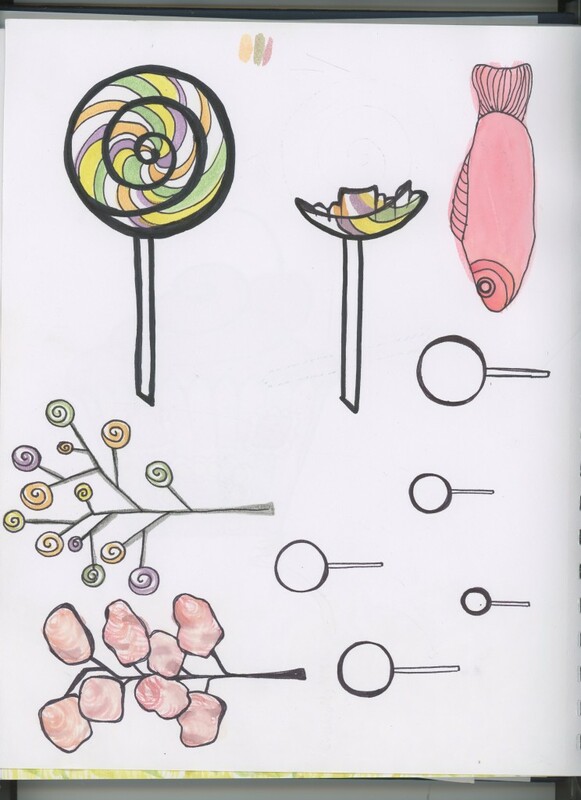 Candy and all things sweet + the magical imagination of a young child= a sweet life (aka Candyworld). Lucy stands alone on a field of soft grass enjoying a lollipop, it falls down. Lucy is sad. Luckily she has her imagination to uplift her spirits. 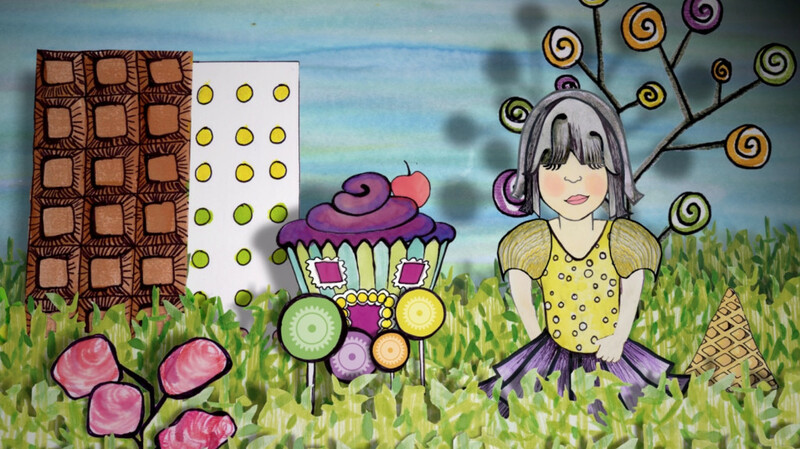 In her fantasy world buildings are constructed of chocolate, cotton candy grows from the ground and houses are now colorful cupcakes that fall from the sky. Lucy is happy. On the hunt for sweet treats. 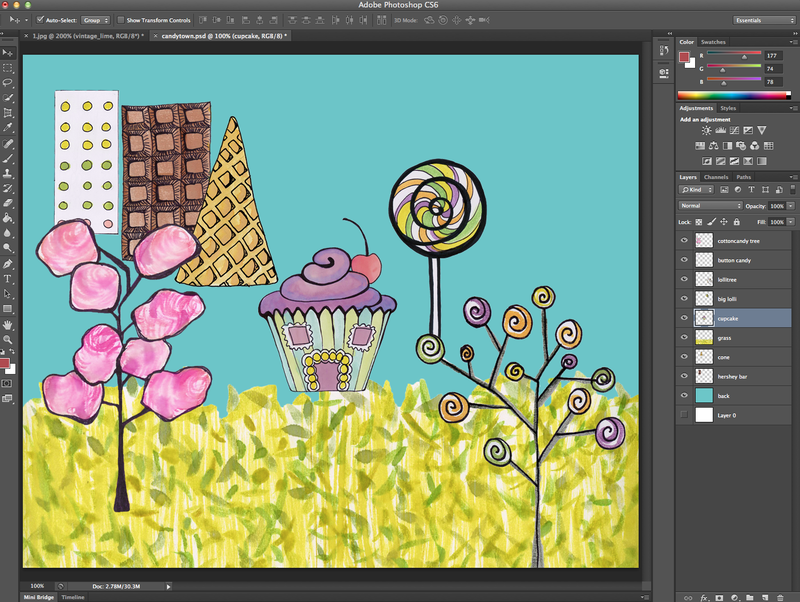 Hershey bars, lollipops, candy dots, cotton candy, cupcakes and ice cream cones…OH MY! (the bright colors and sweet smells). 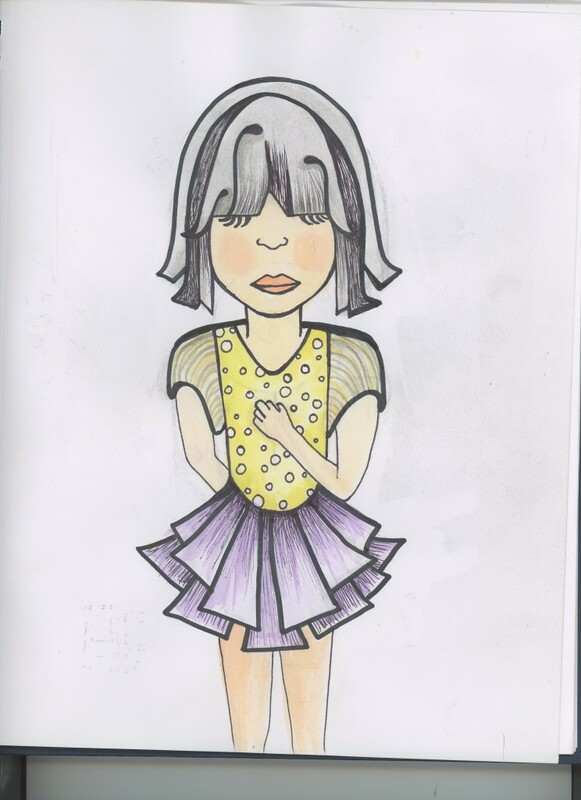 As a former art teacher I continue to have a passion for drawing and painting. I had an amazing opportunity to tell a story using my own artwork. (side note: before and during the creation of Candyworld I must of watched Cloudy with a Chance of Meatballs close to 20 times with my two little boys, I guess you could say this had an affect on me.